OnRamp Founder, Chad Kissinger will discuss Hybrid Hosting at Innotech Austin, Wednesday, October 15, 2014 at 11am. 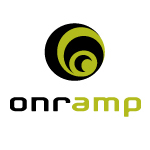 For more details about the 11th Annual innovation and technology conference and OnRamp's involvement read this announcement from OnRamp. OnRamp, a leading high security and hybrid hosting provider, announced today that company Founder, Chad Kissinger, will be a featured speaker at InnoTech Austin, October 15, 2014 at the Austin Convention Center. Recognized as the region’s largest business technology event, InnoTech is comprised of educational seminars, special events and demonstrations focused on innovation in the technology space. Kissinger’s presentation, titled: “Hybrid Hosting: How to Ensure Data Availability, Security and Compliance in a Blended Environment,” will take place from 11am-12pm in Room 8C and will demonstrate how businesses can address IT security and compliance requirements through a mix of data center services. The 11th Annual InnoTech Austin event will provide education sessions on topics related to security, data & analytics and health IT. Merging healthcare compliance and data security topics, Kissinger’s speaking session will outline a business case for adding managed hosting or cloud services to a colocation or dedicated IT environment and highlight the challenges this approach creates for businesses in healthcare, financial and multiple other industries that deal with sensitive data. As a sponsor of this event, several members of OnRamp’s team will also be in attendance to showcase the company’s hybrid hosting solutions from Booth 307 on the exhibition floor. InnoTech Austin 2014OnRamp Founder, Chad Kissinger talks Hybrid Hosting at InnoTech Austin 2014.